able market for white pine. Brooks has worked with Forest Stewards before and has also worked in a watershed environment. “We’re happy Cecil is doing the work. We’ve worked with him before and he knows we [Forest Stewards] are pretty demanding,” said Lamb. t can demonstrate that forestry, done properly, is wholly compatible with forest health.” Painter also noted that CTNC would have boots on the ground in the watershed to monitor the project. ds. 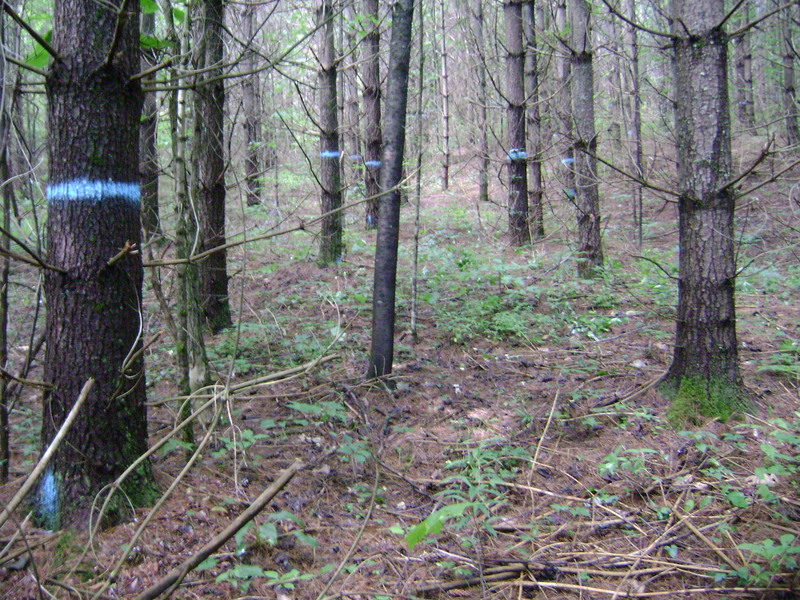 “The landowner [Town of Waynesville] made it 100 percent clear to us from the beginning that they wanted a working forest easement,” Silverstein said. He said that knowing Forest Stewards and Bates would be the ones creating the management plan helped ensure SAHC’s participation in the easement. Hanni Muerdter, SAHC’s stewardship and conservation planning director, said that she had recently visited the site. 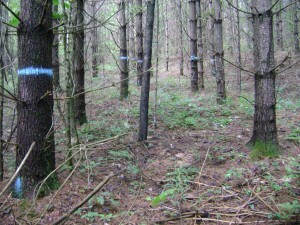 “Our language is very specific,” Muerdter, said, “the harvest must be overseen by a registered forester – and that’s where Forest Stewards comes in.” Muerdter said she was quite comfortable with Lamb’s and Forest Stewards’ abilities and felt confident that all Best Management Practices would be exceeded. I am also one of the leaders on the annual watershed hikes and I generally lead my group through a portion of the white pine stand. It’s usually near the end of the hike and people are strolling along and chatting with one another – I don’t say anything – just walk about 100 feet or so into the stand and stop. Then I ask if the group notices anything different – usual responses are, “There’s nothing here,” or “It’s so quiet.” And we get to talk for a moment about the differences between the forest we just left with it’s myriad species of trees, shrubs, wildflowers and different birds and this unnatural, quite and empty monoculture of white pine. I look forward to seeing the difference next fall.